Is vegetarian food available all over Tibet? Will it be a problem for a veggie to travel Tibet? What should I do if I am a vegan and want to travel Tibet? These are the questions often asked by vegetarian travelers from around the world planning a tour to Tibet. It is not as difficult as most people assumed to find proper vegetarian food in Tibet. 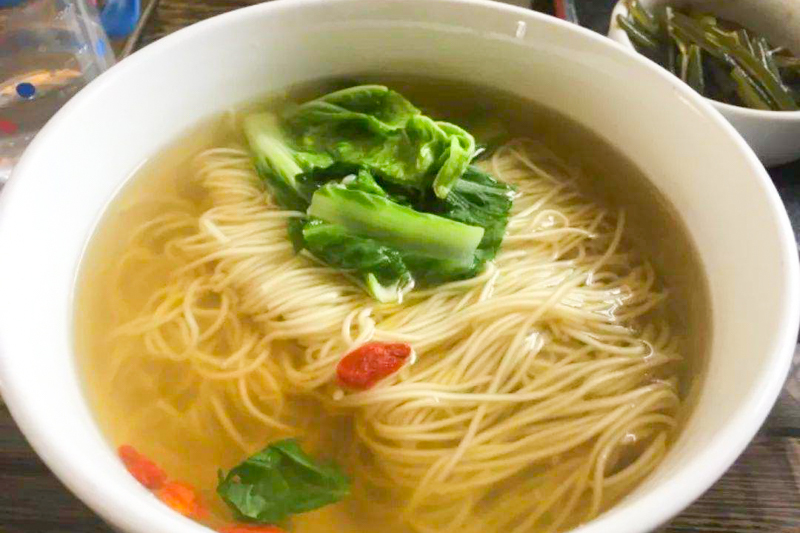 There are plenty of meatless options for vegetarians if you know what to order from local cuisines available in bars and restaurants throughout Tibet. Vegetarian food in Tibet is more common than people think – so read on! There are three major cuisines in Tibet: Tibetan Food, Chinese Food, and Muslim Food. All of them have vegetarian dishes available. 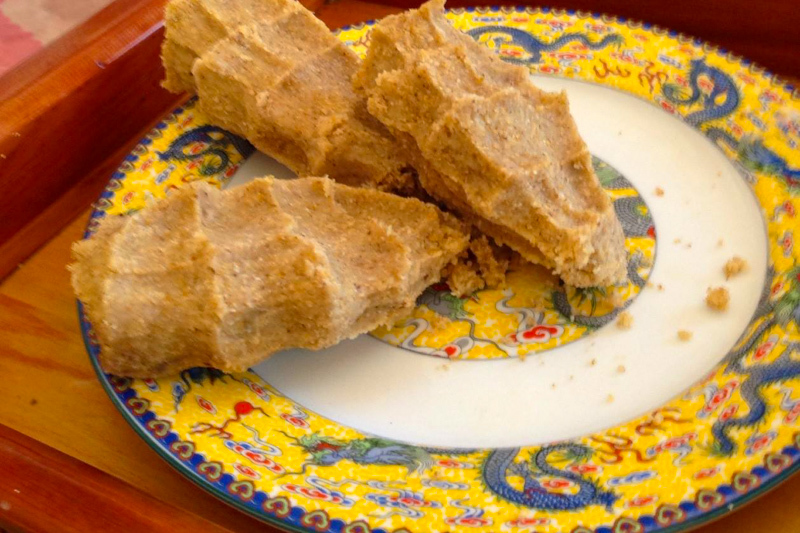 The basic Tibetan meal is tsampa, a kind of dough made with roasted-barley flour and yak butter mixed with water, tea or beer. Tsampa with milk powder and sugar makes a pretty good porridge. Momos are common food outside Lhasa, which are Tibetan dumplings with different fillings with meat or vegetables or both. For vegetarians you can ask for su momos, which means vegetable filling momos. We normally steam or fry them. Thugpa is also a common Tibetan food. It is a noodle soup with meat or vegetables or both. For vegetarians, ask for su thugpa. You can also find fried rice of many different kinds with meat or vegetables or both. One of which particularly suitable for vegetarians is droma drase, a yummy combination of rice, sweet potato, sugar and butter. In local markets like Barkhor Plaza, you might see stings of little white lumps like over-the-top necklaces. This is dry yak cheese and locals eat them like sweets. At first it taste a bit like a small rock in your month, very chewy, but eventually it starts to soften up and taste like cheese. You either love it or hate it. Chinese restaurants are in almost every settlements in Tibet, and Sichuanese cuisine is more popular than anything else. Sichuanese dishes are usually stir-fried quickly over a high flame with meat or vegetables or both. 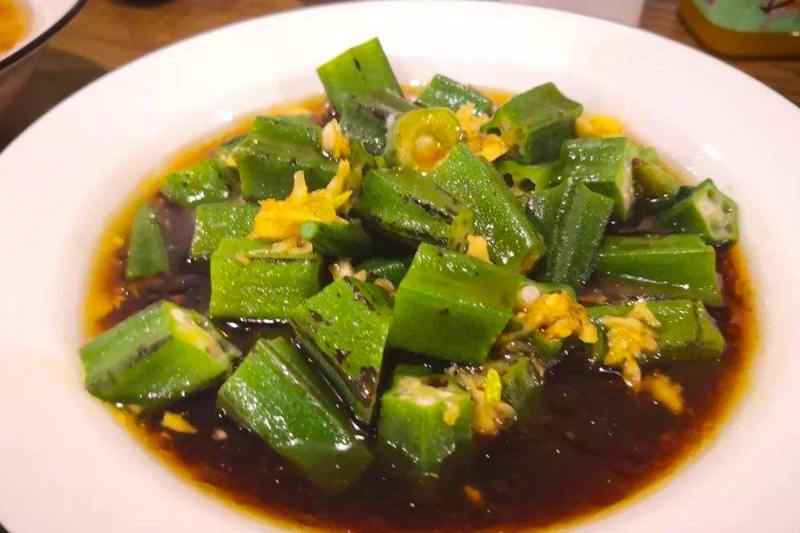 Tell the Sichuanese restaurant owners – wo chi su! (I am a vegetarian). They will understand easily. Chinese snacks are also excellent and make for a fine light meal. The most common are shuijiao (ravioli-style dumplings) order by the bowl or weight, and baozi (thicker steamed dumplings), which are similar to momos and are normally order by steamer. Both are dipped in soy sauce, vinegar or chili, or a mix of all. Shaguo mixian is a particularly tasty form of rice noodles. We cook it in a clay pot, with meat or vegetables or both. Chaomian (fried noodles) and dan chao fan (egg fried rice) are available in almost all Chinese restaurants. Muslim restaurants are available in almost all urban centers in Tibet, easily recognized by a green flag hanging outside or Arabic script on the restaurant sign. Most chefs are from the Linxia area of Gansu. The food is based on noodles, with meat or vegetables or both, and, of course, there’s no pork. Muslim restaurants also offer good breads and excellent babao cha (eight treasured tea). We made babao cha with dried raisins, plums and rock sugar. Of course, some restaurants in Tibet dedicate themselves exclusively for vegetarian food, mainly in Lhasa. Below are a few of highest review. It serves excellent, healthy all-veg dishes, including lunch buffet. Nicely decorated with 2 floors of dining areas. English menu with photos showing their dishes. Open hours: 9:30am-9:30pm, Mon-Sun. It offers affordable and authentic vegetarian food for Tibetans. The combo dishes with rice are good value and we particularly recommend the Tibetan-styled mushrooms. Their menu is written in Tibetan & Chinese without picture. Bring your Tibetan guide along to help you order. Tibet Travel Expert of TibetCtrip Travel Service Team is experienced in arranging Tibet tours for vegetarians from all over the world. Please get in touch with us via email, [email protected], to find out more insider tips.